An inspired food writer, independent scholar, culinary historian and TED speaker – named in Southern Living as one of 50 People Who Are Changing the South in 2015 – Michael Twitty, 39, makes no bones about the complexity of his identity. 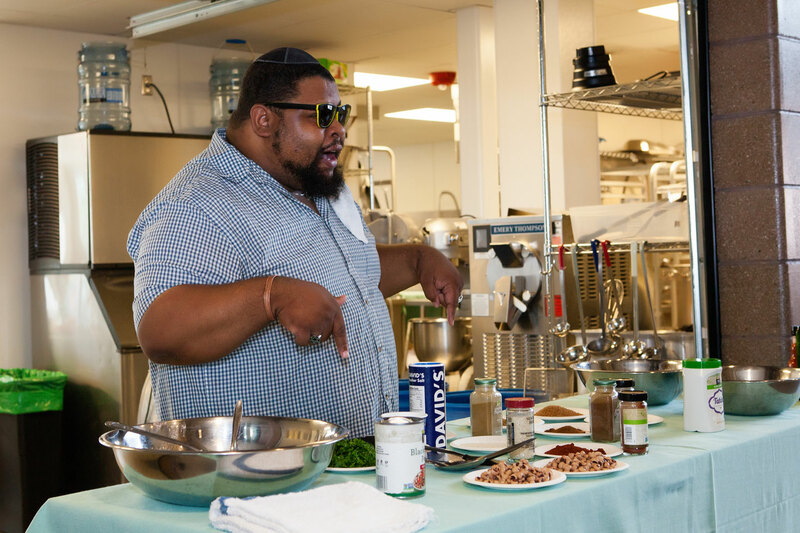 Black, devoutly Jewish and openly gay, Twitty is a man with a mission on a journey to bring our diversity to the table and demonstrate how our food connects us. 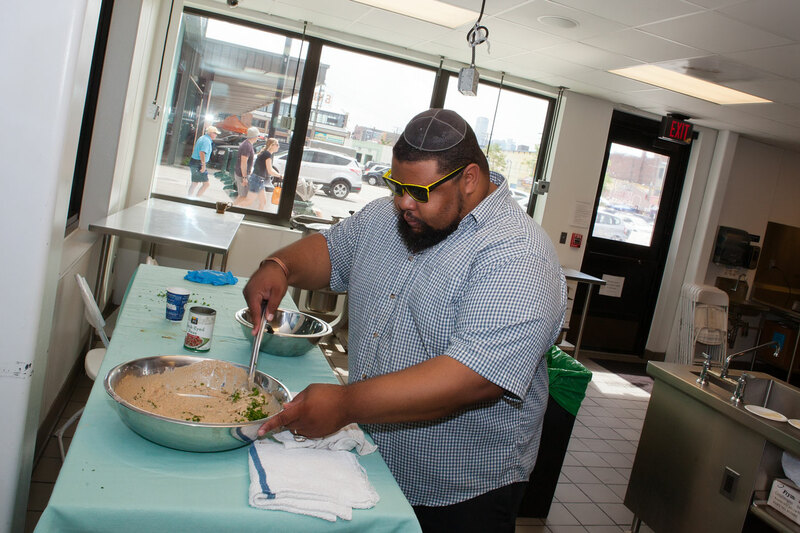 And, indeed, with his creative hybrid specialties like black-eyed pea hummus, mac ‘n’ cheese kugel and matzo ball gumbo, Twitty continues to carve a unique culinary niche that merges the elements of African American/ Southern Antebellum and Jewish cuisine. Twitty describes growing up just outside Washington, DC – not far from the Jewish community. “We were neighbors, there were no surprises,” he says. “It was nothing for me to go and build and play in a sukkah when I was little.” In his mother’s kitchen, challah was a weekend staple, as the only bakeries open in the neighborhood on Sunday were Jewish. 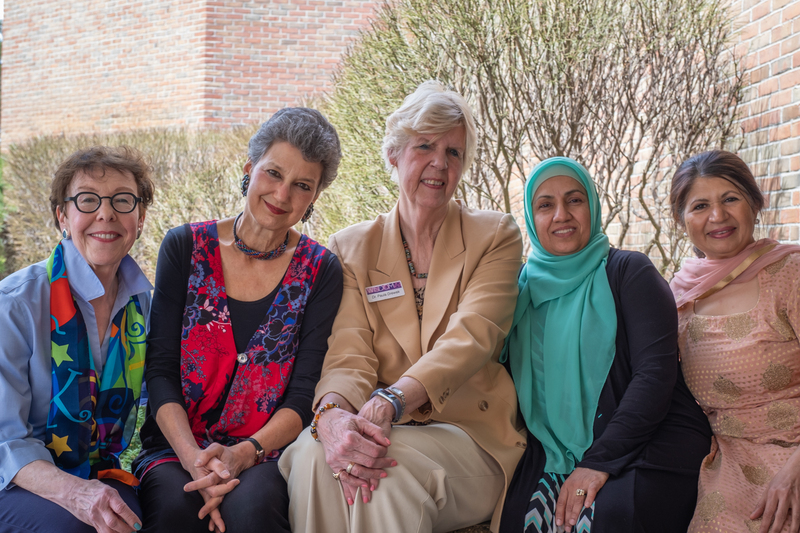 “I held a cooking class at Abraham Hostel and it was very funny: I had on one side of the room Israeli Arabs and Palestinians and on the other side Jews! Israeli Jews. “I look at them and I see they’re ready for me to start something. And so, Orthodox Jewish guy and Palestinian guy both get up at the exact same time and ask the exact same question: Tell me who does hummus belong to? “So I look around the room, I wait, 10 seconds go by. (There were people in the hospitals at the other side of Jerusalem, waiting to see Hashem – their ears are burning in anticipation for what I am about to say! There are people on the other side of East Jerusalem– they have sounded the horns at the mosques to hear what I’m about to say. 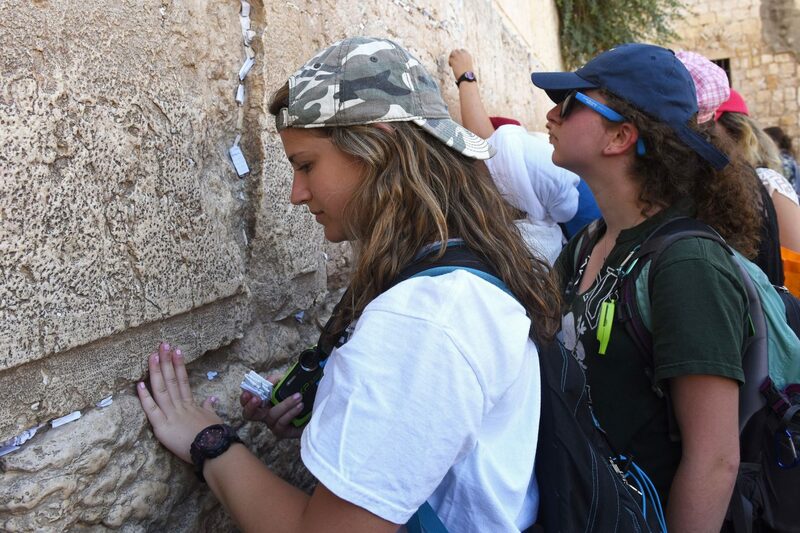 The entire Kotel has stopped praying . . . because they all want to hear the answer. 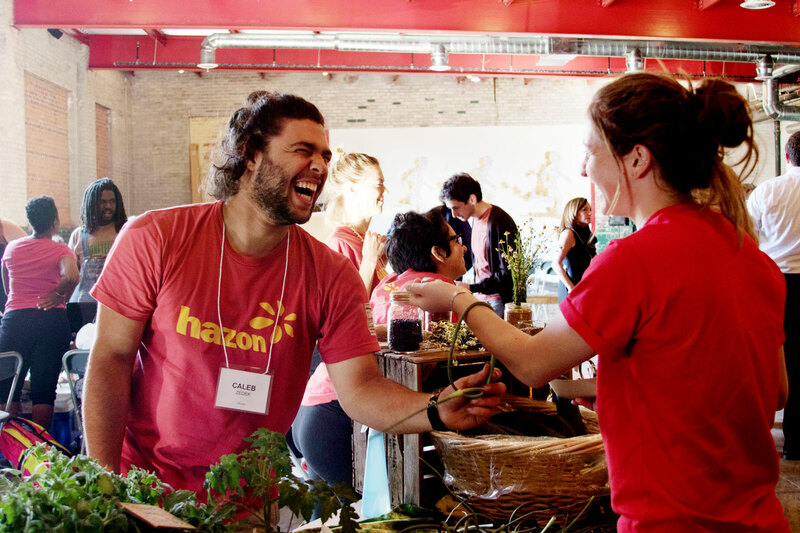 Who owns hummus? And No! I say to them ‘no.’ Hummus belongs to a Mesopotamian woman – neither Jewish, nor Muslim—who had hungry kids. And she had some chickpeas and some garlic—she mashed them together and said, here, eat! Did you know? Black-eyed peas are a traditional Rosh Hashanah food included in the ancient Talmudic menu. Similar to the Southern tradition of eating black-eyed peas as a good luck food, some Sephardim eat black- eyed peas for Rosh Hashanah, as they are believed to increase one’s mitzvot for the year to come. So, l’shana tova, and let’s eat already! 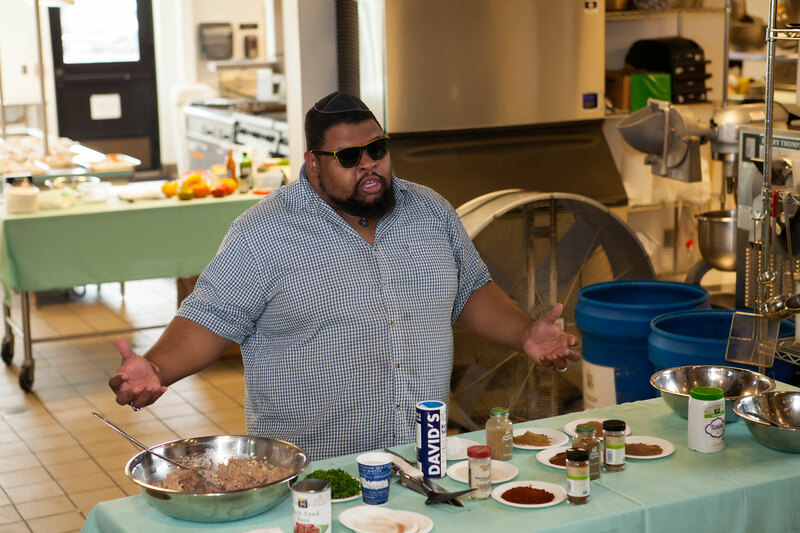 For more on Michael Twitty, visit online www.afroculinaria.com and www.theweiserkitchen.com; Michael W. Twitty on Facebook or @Koshersoul on Twitter.